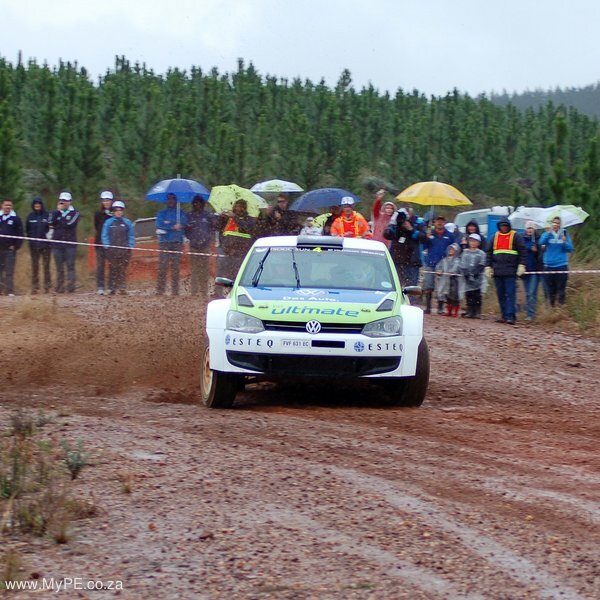 The wettest weather experienced on a round of the SA Rally Championship in years was not enough to prevent Castrol Team Toyota’s Johnny Gemmell and Carolyn Swan from scoring their first win together in the Volkswagen Rally in the Eastern Cape on Saturday. 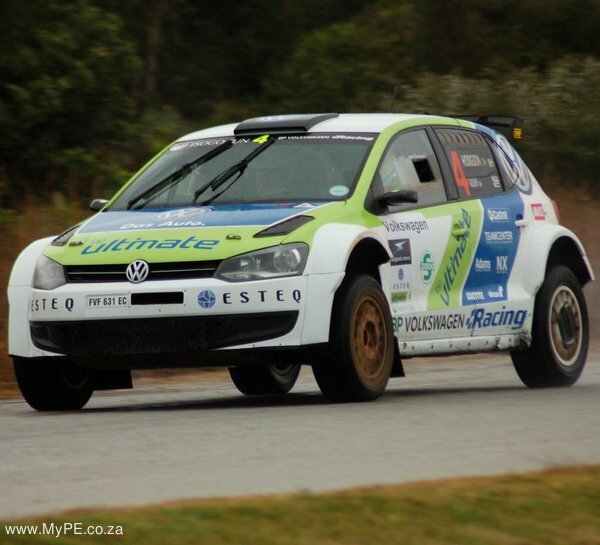 Round four of the championship, run over two days in the Uitenhage, PE, Longmore Forest and Gamtoos areas, coincided with heavy rain and freezing temperatures that moved in from the west on Thursday night, turning the 180 kilometres of gravel special stages into a slippery and in places water-logged obstacle course that caught out many of the competitors. One stage on Friday and two on Saturday had to be cancelled because of the conditions. 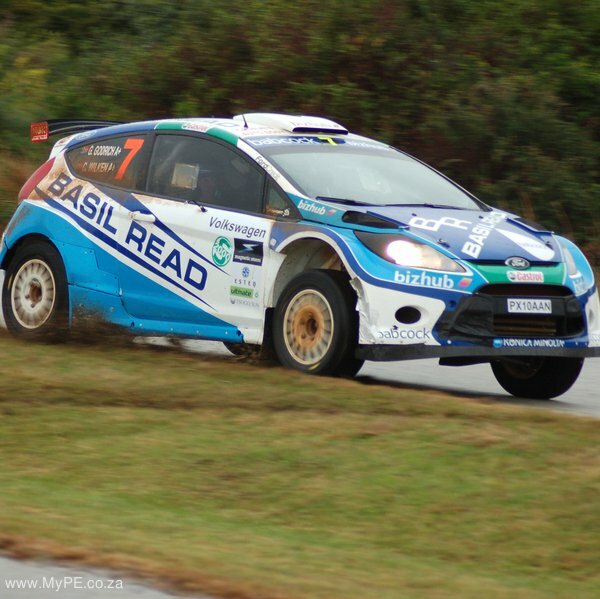 Gemmell and Swan led former champions Jan Habig and Robert Paisley (Ford Fiesta) by five seconds after Friday’s four stages, with Castrol Toyota team-mates Leeroy Poulter and Elvene Coetzee a close third, 13 seconds behind the Ford. All three won a stage to set up the prospect of a close-fought battle for the overall honours on Saturday. 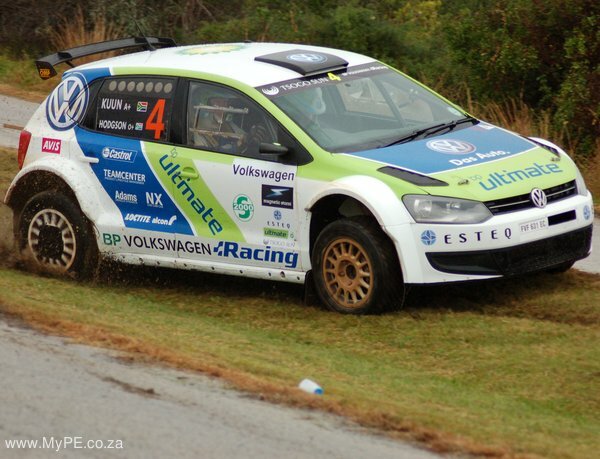 Gemmell won the opening stage six over a challenging 19 kilometres in the Longmore Forest and opened up the lead to some 27 seconds and, although Habig won the next three stages, Gemmell controlled the race from the front, leading on the road throughout the day and finally taking his second VW victory and Swan’s first in the premier class. 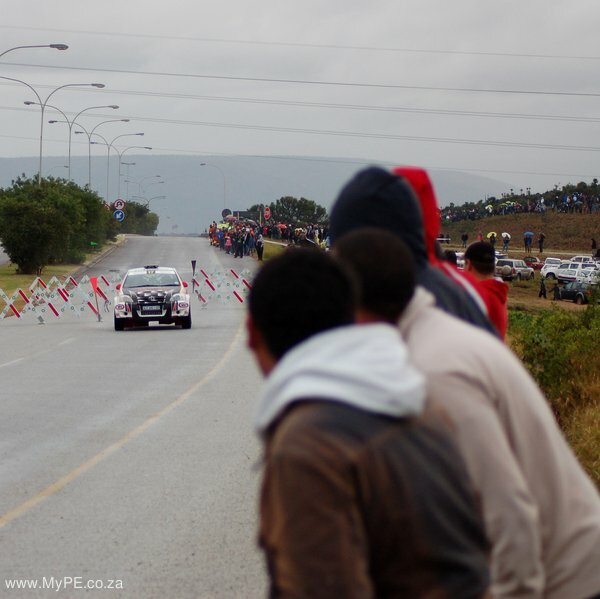 Poulter slid off the road on a tight right-hand corner on stage nine and beached his car on a roadside bank while leading Cronje by a comfortable 44 seconds and trailing Habig by seven seconds. 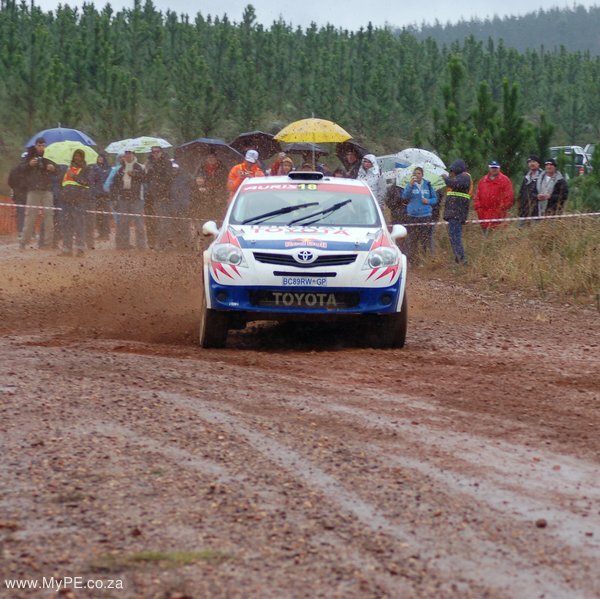 Giniel de Villiers and Ralph Pitchford gave the brand new Imperial Toyota Auris its national championship debut in their first appearance of the year. 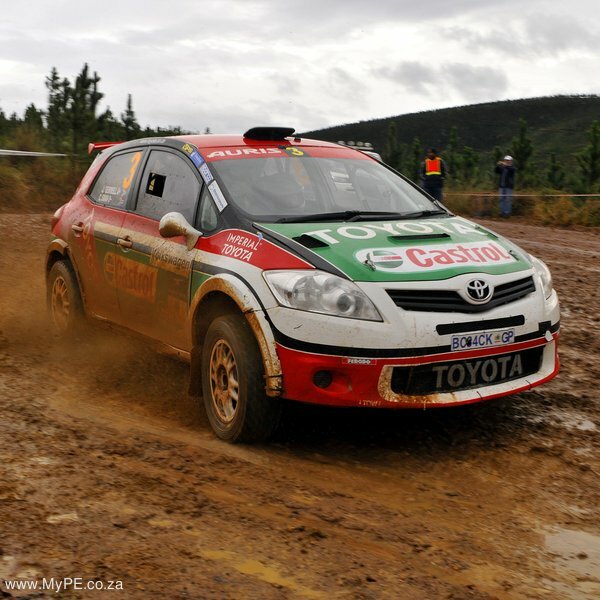 Adopting a cautious approach to his first drive in the Toyota under the most difficult of conditions, the 2009 Dakar Rally winner was 10th and 2 min 26 sec behind Gemmell and Swan at the overnight stop in Uitenhage on Friday. 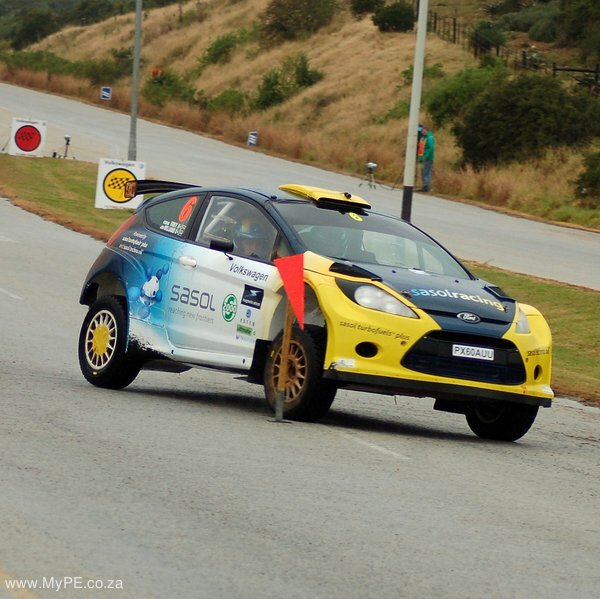 A puncture on stage nine prevented him from improving on his position and he dropped to 13th overall at the finish after stopping to change the wheel. 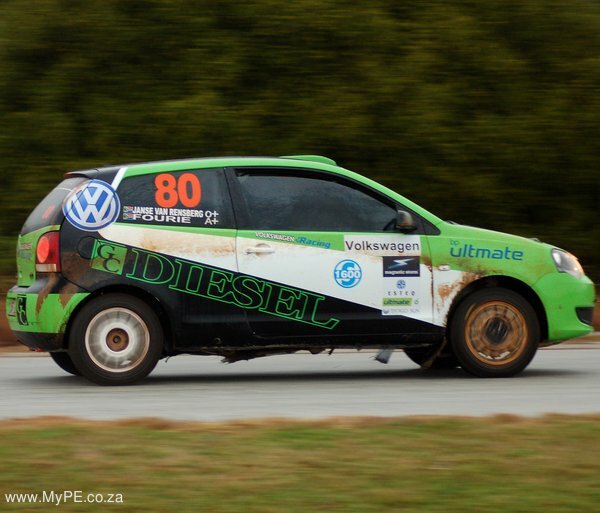 Johnny Gemmell and Carolyn Swan (Castrol Team Toyota Auris) were declared the overall winners at the finish of the 30th Volkswagen Rally in Port Elizabeth.